Why are there so many doubles? My opponents always get good dice, why? Is it possible the dice favor some player? The dice statistics displayed in the program show the dice are random but I think the program modified them to make them look good. I am playing over the board since 30 years and I've never seen such dice than here. If you tamper with the dice why don't you give dice that will make everyone happy? You say the dice are random, I want to believe you , but how can you be so sure? I think the dice are not good, I've played on other site and they were bad there also, why is everyone messing with the dice? Okay, so you don't favor players but I am convinced that the computer opponents are cheating. The computer always gets miracle dice and I always get the worst dice. Technical Data: for the more mathematicaly inclined users. Each and every game site has been accused of tampering with the dice, or at least to not have random dice. Because questions about the dice are frequent, this page summarizes the different replies. The 1st part is our reply to common questions and accusations. The second part is more of a technical discussion about dice and probabilities. We feel that it is important that players understand that by saying that the dice are favoring one player or a group of players, is basically accusing the site of being dishonest and their owners cheaters. In order to make the dice favor any specific player, the program MUST be programmed to do so. No bug or conception error can create such an effect. This being said, let's go to the questions. Why are there so many doubles ? There is, in average, a double each 6 rolls. Because of the importance of doubles in backgammon, rolling a double is a noticeable event. Most people will remember such event. On the opposite, they might discard an event such as no double during 15 rolls. This is because during each of these 15 rolls, not rolling a double is the most probable outcome and also the one that will have the least effect on the evaluation of the position. As a consequence those 15 rolls without a double won't be noticed. If ever the following 5 rolls contain 3 doubles, a player will notice those. But overall there have been 3 doubles out of 18 rolls. The dice statistics show you that you don't have more doubles than average, you just notice them more. This is a question that implies that the player believes that the dice are not favoring any players in particular, but the opposite, is trying to make some players lose by helping all their opponents. To put it bluntly, this is close to paranoia. Why does a player think he is special to be put on the list of player that the server decided they should lose? Before each roll, the program needs to decide to help the player or not. To do so, it needs to analyze the position and see what particular dice will be good for the player and which are bad. Because each client software stores the statistics of the dice, to be stealth, the program needs to remember that it tampered with the dice and manage to compensate that in the next rolls. Believe me, and I've quite a lot of experience in programming Backgammon servers and programs, I don't ever want to have to write such program, this is highly complex to do. Another point, even more revealing is the answer to the question, "Why would we ever do that?". Several players have given why they think a server could tamper with the dice, Here are our comment about some. You favor non member so that they become member. If we'd do so it mean that member are the one to pay the price for that, keeping member is as important as getting new ones. You favor members so that they will renew. Same reply than above, having new member is as important as keeping the existing ones. You favor high Elo that's why I am loosing to high rated player. There is a much better explanation to those losses than the dice favoring high rated player : they are playing better! When I reach a high elo I start having bad dice. A good player will always reach his highest elo after a lucky winning streak. If the luck in the game is about equal the player will remain high, but one day the player will enter a losing streak and especially for high elo this create a very fast drop in the elo points. You favor low rated player so that games are more challenging. One of the reason backgammon is popular on the internet is that even if both players are of very different skill, both players are challenged. Backgammon is enough of an exciting game without the need to artificially make it more spectacular. There is a very easy way for a player to make sure the dice statistics displayed are exactly the one you roll. This will show you that the program does not modify them. Open the saved game and count manually the dice distribution and double you got. They are the same ! I am playing over the board for 30 years and I've never seen such dice as there is here. This is a misconception due to a very simple fact. Players implicitly trust real dice, but implicitly mistrust computer ones. Also, the fact that games are saved creates a bias because people focus on the unlucky event without seeing the global picture. In real life, at the end of one game in which you rolled a huge number of doubles, you don't have (usually) the game written down so you can't look down and say, "Look! I got 10 doubles in 25 rolls". When playing on a computer you have this opportunity to check the saved game and the consequence is that the event is more memorable. If you tamper with the dice, why don't you give dice that will make everyone happy? It raised the question that if the dice are not right, like some players say, why would we do that as it make players angry? The reply to this question is still a mystery to us. I can not see how helping a few player will be beneficiary to any site, taking the risk that if you did tamper with the dice, you could lose the whole site reputation and then you have killed your own business. I don't see any valid reason to take such a risk. The main thing that allows us to claim this randomness is the way the program is made. It is physically impossible that the random function is dependant of the players or the actual position. This is not something you can do by mistake. Now, the only thing we need to do is to test the random function of the dice. 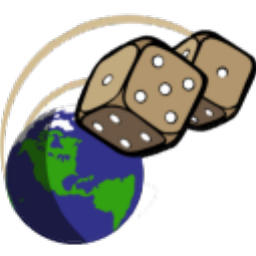 To insure that no side effects exist in real games, the dice stats of the computer have been stored. So far, we have about 8 million dice rolls and here again the results are totally convincing. Of course, we are talking about randomness so there is no way to prove that 100%. The analysis proves it at 99.99%. What we are 100% sure of is that any difference that could exist with true dice is so small that it cannot be noticed by any human or even computer. I think the dice are not good, I've played on other sites and they were bad there also, why is everyone messing with the dice? All sites and programs are just fair and players don't have an objective view of the random dice. The 1st possibility is not very probable, we are talking about a lot of very different people, with no relation to each other. It's quite unlikely that over such a big group of person none would be honest. Here also, the only way the computer could cheat would be if the site owner allows it to do so. But again, why would we do that, making the player angry because they lose ? the computer is not a paying member and will stay even if it lose plenty of game, so , as a matter of fact it would make more sense to make the computer lose and make player happy rather than win. This is exactly what we did : XG-Intermediate and XG-Beginner use a version that is programmed to make mistakes. As a consequence they lose more and their rating is far under the program which don't make mistake knowingly (of course it still do some mistake, the computer is not god). The computer always get miracle dice and i always get the worse one. This is a good question which require careful reply so that people don't misunderstand it. the art of backgammon is to play in order to have the most good dice for your next roll and also to give the less chance to your opponent to get good dice. This means that, yes, good player don't get as many bad roll than a weaker opponent. not because they are more lucky or because they are cheating, just because they play better.